If you are looking to set up a business, it may be easier to buy a business with a license and get it transferred, than to try and apply and get one for the first time. Again, some people who have tried to do this without finding out about some of the difficulties have learned the hard way. It is not an easy process, you may think you can get it sorted yourself but even with the help of Lawyers you will still find in some cases the process very frustrating. Some people are not aware of the licence application and approval requirements, all which have to be presented in Portuguese on the appropriate forms to all the right people and then stamped. There will be costs for some of the documentation and licence approval you won't be aware of, try and get these identified at an early stage. Rental agreements of premises, monthly rental costs or purchase of the right commercial / property, do your homework before signing contracts and make sure you don't do this before you are 110% sure that you have the licence to trade. A few places have been shut down for not having the appropriate licence or documents, in one situation I do know that the Lawyer had not processed the paperwork related to getting final approval to open the business for trading purposes, so make sure that your communications regarding such matters with your lawyer are clearly understood. Some people are seeking to set up a beach business. With this you need to look into what licence you need, whether there are any restrictions, what type of building will be allowed....temporary, wooden framed, will you need a water supply, where will the water supply come from, how will it reach the premises, does it have road access, where will the new promenade come across the beach, does a developer/the hotel already have plans for the beach. The Riu Hotel uses the beach area in front of their hotel, and so do other hotels, but the beaches will remain public! It's ok opening a Bar, but where are you going to get your trade from? How are you going to reach the people in the All Inclusive hotels who have paid for all their meals and drinks and who may not be aware of your business or more importantly can't be bothered or have the extra cash to come out to visit your business. What research have you done ? Have you considered the seasonal differences? Have you considered the current financial climate? Have you spent time on the islands speaking to people before deciding where you want to live or open a business? Have you spoken to other Expats about the current situation and how its affecting their business? If looking to set up as a business this should be arranged via a lawyer/solicitor. 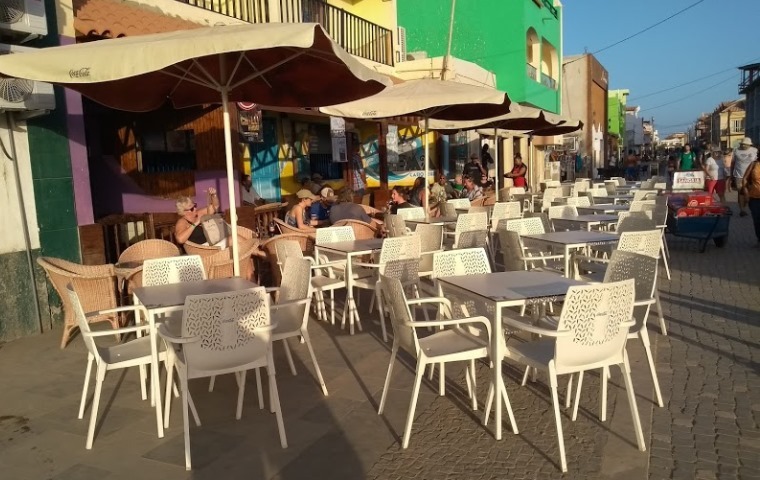 Alternatively contact an Accountant who may be able to advise you (if it is too complicated) .... there are some English speaking accountants on the islands, mainly on Sal, Sao Vicente or Santiago. You can also find related information on Importation to Cape Verde, Sending goods by Airfreight or by Container Ship, Importing Goods by Ship, Business Incentives, Setting up a Business, Sending Goods to Cape Verde, Overseas relocation to Cape Verde, Taking personal goods to Cape Verde, Shipping goods between the Cape Verde Islands, Dispatcher and Clearance Agent for Importing Goods to Cape Verde.